Polaris Rejuvenation is part of the BodyLogicMD network of highly trained physicians specializing in anti-aging and regenerative medicine. We are Ohio’s experts at Bioidentical Hormone Replacement Therapy, as well as Functional Medicine. We treat people from all over the state, who come to us for all sorts of reasons – and we are here to help. Our facility is soothing, welcoming, and state-of-the-art. We look forward to meeting you. 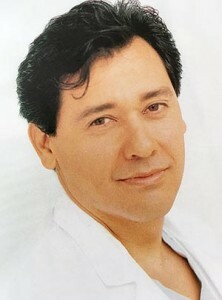 Dr. David Garcia, owner and operator of Polaris Rejuvenation of Columbus, is an active member of the American Academy of Anti-Aging, Functional, and Regenerative Medicine. Dr. David Garcia has maintained a primary interest in preventive, anti-aging and aesthetic medicine and dedicates his practice to bioidentical hormone therapy combined with customized nutrition and fitness programs to help men and women find relief from the symptoms of menopause, andropause, thyroid disorder and adrenal fatigue. Dr. David Garcia has obtained board certifications in family medicine, emergency medicine and addiction medicine. He also holds a board certificate of added qualification in occupational medicine. He has been featured in and is co-author of North America’s Top Doctors Share Secrets to Anti-Aging and Wellness. Dr. David Garcia has realized the limitations of traditional medical care. Only by looking deeper into hormonal, nutritional and fitness status do opportunities for real healing occur.